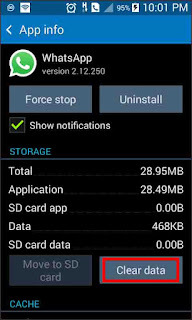 Normal Phone allows to install a single WhatsApp account in a phone, but some applications allows to install and use more than one WhatsApp account in a single Phone. Nowadays most of the peoples use WhatsApp for simple and easily communication. If you are company executive or if you have two mobile numbers, you may run both phone numbers in a dual SIM single phone. But WhatsApp is based on phone. That is, if your phone support dual sim, but WhatsApp does not support dual account for both sim card legally. WhatsApp has no password security because only one account allowed in a single phone. If you want use WhatsApp for each numbers separately, then you need to keep more than one phones. But there are some tricks to run multiple accounts in a single phone. As I mentioned above, there is no direct way to run multiple accounts in a single phone. But using some third party apps, we can run multiple WhatsApp accounts on android phone not available on iphone and windows phones. Apps OGWhatsApp, ENWhatsApp, SAWhatsApp, Quad WhatsApp, etc are some of them which allow to use multiple accounts in a single phone. You know the app Quad WhatsApp support 4 accounts in a single phone. 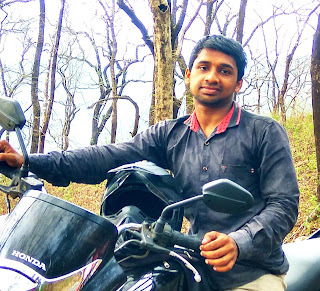 Here I am going to describe installing and working of OGWhatsApp. All these steps are almost similar in other apps like ENWhatsApp. First of all, take a backup of your WhatsApp data; else all your data may lose. Be careful. 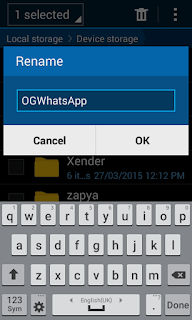 Now come to your file browser and rename WhatsApp in to OGWhatsApp. Now connect to internet, then download and install OGWhatsApp. Then open it. OGWhatsApp will ask you enter mobile number. Here type your new (second) mobile number. verify the number (you need to wait some time). Then proceed. Now your new WhatsApp is ready to use. Now install a new version of original WhatsApp with your old (first) mobile number. Proceed. Now you can find two icons of WhatsApp on your phone menu: WhatsApp and OGWhatsapp. "This version of OGWhatsApp became obsolete on 1 Oct 2015. Please go to Google play to download latest version. Your device’s date is 1 Oct 2015. 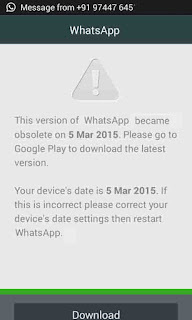 If this is incorrect please correct the device’s date settings then restart OGWhatsApp"
Clear WhatsApp data and try again. Here I already wrote an article about to solve this error. Quad WhatsApp allows you to run 4 WhatsApp accounts in a single android phone. Actually this is not a single application, this is a bundle of four applications contains OGWhatsApp, ENWhatsApp, SAWhatsApp and original WhatsApp. 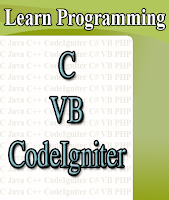 Try to install each apps by following first method. Each application allows you to run separate WhatsApp account with different mobile numbers.